As part of the district and school improvement planning process, each SPSD school has partnered with parents to develop its own unique Parent Engagement Plan and Parent Compact. These plans include goals, objectives, strategies, and/or activities designed to strengthen engagement that yield positive outcomes for students. The National Network for Partnership Schools (NNPS) has been instrumental in facilitating professional development for SPSD personnel, parents, and community stakeholder partners, To engage families in our schools, the district utilizes the six types of parent involvement framework developed by Joyce Epstein, Director of the National Network of Partnership Schools (NNPS) at Johns Hopkins University. 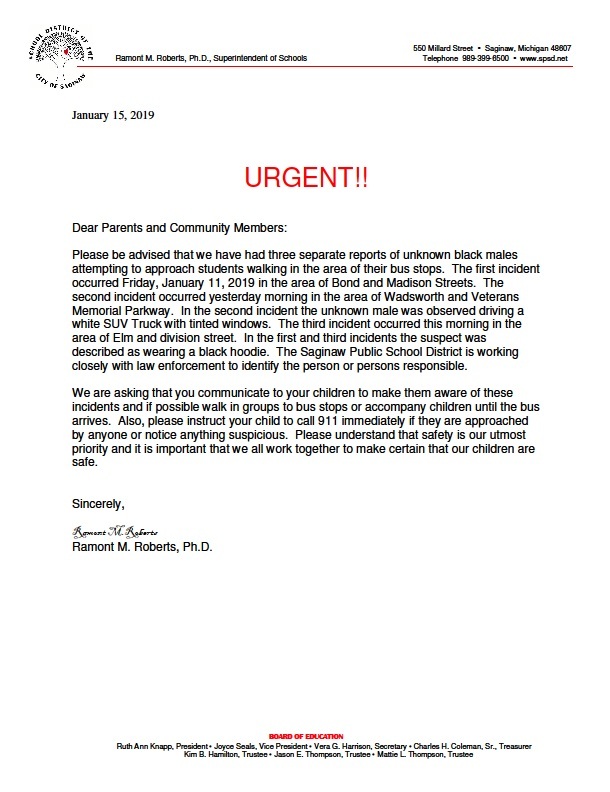 For more information, please visit our Family Community Engagement and Empowerment Center on the third floor of Thomson Middle School, 3021 Court Street, Saginaw, MI 48602. You can also contact the Parent, Family, and Community Engagement Specialist, Tiffany Pruitt, at (989)399-5618 or tpruitt@spsd.net.